LED Rock Light features an amazing 10 watt ultra bright white LED which produces 800 lumens! It is a stud mount with a threaded housing as pictured. Its compact machined aluminum housing is only 1.5" in diameter and is anodized black. This allows for a fully sealed housing which is corrosion and waterproof while also being impact resistant. Draws only 200 milli-amps each at 12 volts and weighs just over 4 ounce each. 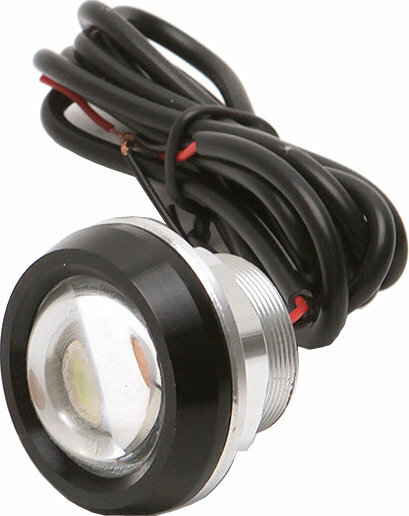 Requires drilling one 1" mounting hole but also includes an adapter ring to fit this light into a 1-1/4" hole.